Rafa Benitez: One of the last ones standing? Another of the Premier League’s relegation-battling managers bit the dust this week, as the pressure grows to an almost unsustainable level. If football has proven anything over the last few years, it is that the modern game waits for no man. Four-and-a-half years after replacing Pulis, though, Hughes was relieved of his duties. An FA Cup defeat at lower league side Coventry City proved the straw that broke the camel’s back; but it was the loss at home to Newcastle on New Year’s Day that exposed the club’s real fears, dropping them into the relegation zone. 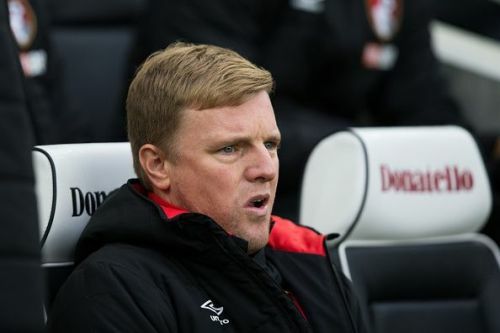 The decision leaves Rafa Benitez and Bournemouth boss Eddie Howe as the only men battling the drop still safe in their jobs; Mauricio Pellegrino of Southampton could well be the next man for the chop. In a cynical world where playing Premier League football matters all the more from a financial standpoint, supporters’ opinions have taken on greater importance. Results may not have been great, but it was the fans who decided Hughes’ Stoke fate, just as they had Slaven Bilic’s at West Ham or Tony Pulis, once again, at West Brom. Howe has found this season his toughest in the top flight yet and Benitez has been on some record-threateningly poor runs on Tyneside, but there has never been a serious suggestion they could be sacked because they are adored; the majority of fans can’t see better options out there to take their clubs forward. Benitez’s tactical approach has proven the difference in every Newcastle win this season; beating Stoke, before the victory over Luton in the FA Cup, lifted the Magpies to 13th in the league, two points above the drop zone. Reports suggesting the Potters were monitoring his situation barely made a splash, despite the Spaniard facing similar frustrations on the transfer front as he did in the summer. With Mike Ashley’s negligence towards him and the situation patently clear again, Benitez is not reacting in the way he did six months or a year ago when faced with similar issues. Perhaps that is down to apathy because the record has simply not changed and he knows, with the takeover still looming, Ashley is a man with even less interest in the club than before. From what seemed like being a very positive transfer window last month, when excitement was sparked by the news that an agreement was close between Ashley and interested buyers PCP Capital, the fall has been a tough one. The penny-pinching malaise is back again; every deal appears conditional with so many factors needing to align. Benitez said the latest he wanted deals to be done was January 20th; that seems very unrealistic now. No hope in the transfer window? 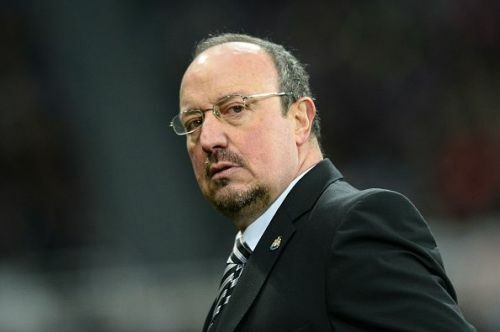 Advanced funds said to be on their way from the interested consortium have failed to materialise, too, meaning a sparse loan market is the only apparent option for Benitez. The lack of communication is returning like a classic anthem back in the charts. Benitez, like his predecessors, is the only man who faces the media and therefore the only bridge between the boardroom and the fans; but because they keep moving the goalposts, he has to as well. Selling the likes of Siem de Jong, Grant Hanley and Tim Krul last summer was, as per the party line, going to free up wages and space in the squad for new signings. But with Liverpool strikers Daniel Sturridge and Danny Ings linked, as well as Joe Hart, more money needs to be freed up to afford them, meaning bigger, more important players to Newcastle are being linked with moves away. Three, in particular, have been speculated about this week. 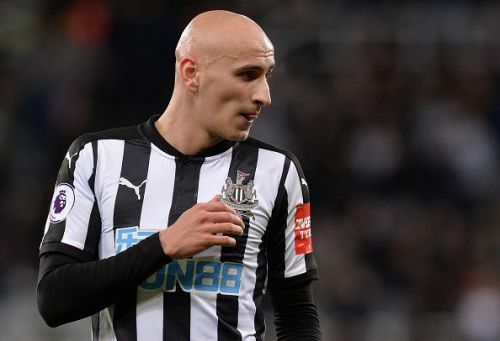 Jonjo Shelvey, Chancel Mbemba and Aleksandar Mitrovic could all be gone this month, according to various outlets, and although Benitez has trust issues with all of them, they all have enough quality to be an asset to Newcastle in the second half of the season, and the risk of letting them go in the name of bringing others in, at this stage, is too great. All of their futures may be assessed in the summer, though. Can Rafa Benitez sail through these testing waters? Returning to Premier League action on Saturday is next on the agenda and Swansea City are the visitors to St James’ Park. Like Stoke City, West Ham and Crystal Palace, the Swans recently blinked in the face of fear and sacked Paul Clement, replacing him with former Sheffield United boss Carlos Carvahal. They may be bottom of the Premier League, but victory at Watford in his first game has stoked the belief that they can stay up; this will be far from an easy game, especially for a team that has not won in six home games. No news was always good news with regards to the takeover of Newcastle United, but as January rumbles on, developments need to happen fast. It is all but certain that the PCP Capital era at St James’ Park will start too late for Amanda Stavely to fund reinforcements, and only wins on the pitch will ensure everything runs smoothly when she does arrive. Unlike Swansea and Stoke, though, Newcastle have kept their nerve; Rafa Benitez is the only man to keep the club from sinking in choppy waters again.